work – Can You Relate? August is typically a very slow, quiet month for me. Everyone is out on their summer vacation, the office is nearly empty, and my work load is low. But this August was different and by the time my own vacation approached, I felt overwhelmed and overloaded. There was a lot of work I didn’t have time to complete and I knew there would be more waiting for me when I got back. There were a few moments when I seriously considered canceling my vacation. But I didn’t. I packed my bags, and piled into a minivan with my husband, our best friends, two dogs, and supplies for the week. We hit the road to Iowa! The first two days I responded to emails and stressed about all the work I wasn’t doing. The morning of day three, when I woke in the Badlands to bison rolling in the dirt, it hit me: I needed a time out. As a child I got a time out when I did something I wasn’t supposed to. My parents sent me to my room to cool off and think about my actions. This is not a practice I’ve self-employed often but like kids can get wrapped up in emotion and mischievousness, I had become trapped by the stress of the daily grind, to-do lists, seemingly endless emails, and deadlines. The very important work I do every day to end domestic violence can seemed infinite. The idea of vacation was grand but when it came down to it, it was hard to take. I’m not alone. A lot of Americans don’t receive vacation benefits, and those who do often don’t take it, even though it’s clear that taking a break can reduce stress and mitigate burn out. I’m part of a movement that promotes self-care all the time, but I wasn’t taking time to care for myself. Something very powerful and liberating happened to me when I told myself to take a time out. I calmed down, thought about what I wanted to be doing, and then I enjoyed every moment. I swam in algae-saturated lakes, watched friends get married, ate ice cream at Mt. 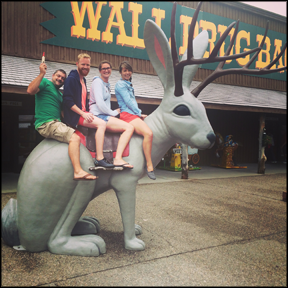 Rushmore, and sat on a giant Jackalope. Today is my first day back at work and I have a ton of work on my plate (including this blog post). But after putting myself in time out, I feel more enthusiastic and determined than ever to be part of this work on ending domestic violence. Times have changed. Or have they? “It’s okay, honey, you can say you’re a housewife,” said the county clerk when I was applying for my marriage license. It’s hard to explain the work I do and I’m often stumped when I have to fill in the “occupation” section of a form. Irked by the clerk’s assumption that I was a housewife, I was even more put off that she thought I would be ashamed of it. Standing in that courthouse this summer, I was aware that I had walked through the same doors my grandparents did in 1949 and my parents in 1974. I thought about how much things had changed over the past 65 years. But really, how different are they? My grandmother got married during a time that being a housewife was considered a woman’s ultimate calling. Near the end of her life she told me (with a bitter undertone), “I did my duty. I had three kids. I washed socks.” In her eyes, being a housewife was not a choice, but an obligation. Then came the era of the Do It All woman which sounds impossible and exhausting. Today, things are different but the same sexist expectations exist. My partner and I share household and financial responsibilities, but I know I would be judged if I chose to stop working. And when people come to my home it’s clear the judgment is on me as well. Many women in my generation are trying to figure out what works best for them, even if that means choosing to return to traditional gender roles. It seems whatever we choose, we are criticized. I want us to stop judging each other and turn our focus on making sure women have options and the freedom to choose what’s best for them. Instead of shaming, let’s encourage each other to make healthy decisions, talk about how to communicate effectively with our partners, and support each other to have relationships that are supportive, caring, and equal. We bring you this post from Megan Dorwin, our Policy and Economic Justice intern. I’m a social worker who spends the majority of her time with other social workers. And there’s a trend I’ve noticed lately about people in the helping professions. We require a lot from our partners and friends. As “helping professionals” we strive to be present, centered, and compassionate, focusing on the needs of individuals and communities we serve. We dedicate one third of our lives to others and, quite frankly, it’s exhausting. As five-o’clock rolls around and I transition back from professional to person, I can’t wait for someone to do the same for me. I want so desperately to be heard with the same care that I have extended to others throughout the work day. 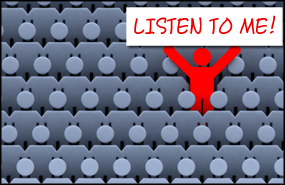 In my personal relationships I feel like I’m jumping up and down shouting: “Listen to me! Listen to me!” It’s about my desire to reconnect with a neglected piece of myself; my longing to feel my own needs and desires being met. Unfortunately, in this process I sometimes end up shouting over those I care about most. So what’s going on here? 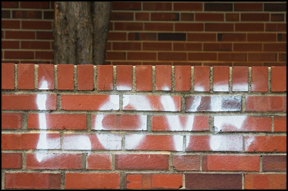 In the social work field there seems to be a blind spot in applying our knowledge about healthy relationships and healthy lives to ourselves. I see this in our work environments, educational institutions, and personal relationships. At work it’s about meeting the needs of others. This isn’t a bad thing: it’s why most of us become “helpers” in the first place. But after a while, the work can take its toll on a person. But just because we work in jobs that are emotionally taxing, it doesn’t mean we get a free pass to neglect the needs of others when we see fit. We have to find a balance so that we’re not sacrificing ourselves at work and expecting our loved ones to do the same for us at home. The people we love and care about want to support us, but they also need to be supported. Yes, sometimes we need to be heard; to share what’s on our hearts and minds. But we also have to step outside our needs and make sure we’re taking care of the needs of those around us. Our lovers, families, friends, co-workers, and communities will be better for it, and so will we. Since Labor Day, I’ve been reading a lot about our country’s minimum wage. This is probably not a newsflash (but just so we’re clear), it’s at $7.25, and is not a livable wage. Even here in Washington State, where our minimum wage is the highest in the country at $9.19, it falls short for many working families. The Self Sufficiency Standard calculates what it actually takes to make ends meet in each county. It takes into consideration things like household members’ ages, and cost of housing, food, and childcare. For example, a single mother with 2 kids in Seattle needs to make $26.94 an hour to meet the needs of her family. That same mom in Pend Oreille county needs an hourly wage of $16.33. Even for two working parents, the minimum wage doesn’t work. In Seattle, two working parents with two kids would each need to make $14.58 an hour. In Pend Oreille, more than $10 an hour each. Some argue against this, claiming these are “entry level” jobs that are starting points, not places to stay long-term and support a family. But when we look at who is earning minimum wage, we see that the vast majority are adults and most of those adults are women. We have to ask ourselves, what do we value? If you (and your partner) work, should you be able to afford the basics for your family? If you’re in an abusive relationship, should you be able to earn enough so that money doesn’t factor in to whether you stay or go? A higher minimum wage could mean freedom, safety, and security for those experiencing abuse. And I’m all for that. I cried at work yesterday. I found myself overwhelmed, feeling like a failure. Turns out I’m not the only one who had this kind of day. 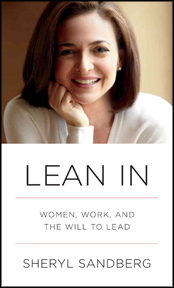 I came across a post about Sheryl Sandberg—who says it’s OK to cry at work—and her new book Lean In. I haven’t read the book, but am so fascinated by the media blitz that I’ve been clicking from one article to the next. Some are hailing “Lean In Circles” as feminism, revitalized. It’s Girl Power, grown up. Maureen Dowd criticizes her for not knowing the difference between a social movement and a social marketing campaign. She claims Sandberg’s elitist approach is not going to reach those women workers who are in low wage jobs. CNN ran an article on how Sandberg’s framework completely disregards the working experiences of single mothers, who “couldn’t lean out if they wanted.” OK, also a lot of truth there. There is little agreement on how to take Lean In. But I’m not sure the top is the only place we should set our gaze. I’d like to see a system that supports and honors women in all levels of employment by offering adequate paid family and sick leave. I’d like to see employers create good policies and protocol for supporting employees who are experiencing domestic violence. If “Lean In Circles” can contribute to that kind of change, that would be a success.